Cupid’s Kill Part 1…now FREE on Kindle! 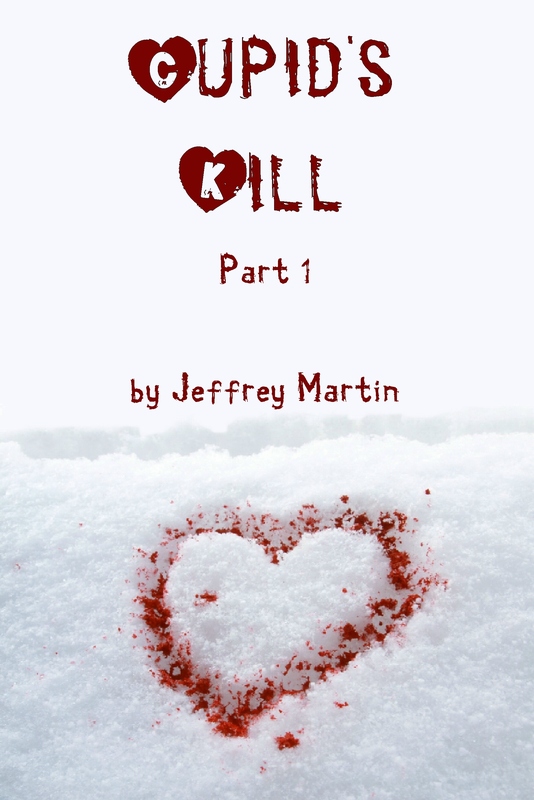 In the next week, I will be releasing part one of my latest short story, “Cupid’s Kill” on Kindle and in several other ebook formats. As a bonus, it will be part of my publisher’s celebration of the opening of their ebook short story line. I will be spotlighted February 12-18, and the story will be available as a FREE download during the “We love our Readers!” week. Stay tuned for how to get your free copy! Death arrives in diverse delivery methods. One in particular is a plague to the detectives of the Marcona Police Department. A monster has returned, and he won’t rest until his vengeance is complete. Armed with a paralyzing concoction and the tools of his trade, he targets a select few to add to his collection. Chief Mark Blankenship, along with detectives Brian Jeffers and Kelli Jordan, face off against the madman, hoping to end his bloody path of destruction. Brandon Thornley unzipped his jacket and removed the GPS device. Following the frost-covered trail, he reached the wooded sanctuary that was home to the tools of his real trade. He thought he could give it up and live the life of an honest man, but the hunger for killing was too strong and couldn’t be masked any longer. He forced himself through the dense tree branches, barely feeling their backlash on his exposed face and neck. A few steps further, he stopped in front of a large pine tree. The computer-generated voice from the GPS, which indicated he had reached his destination, startled him. So tomorrow, what is your destination? If you’re in the Des Moines area, put the Southridge Mall on your GPS, and come meet me and many other great authors at The Great Iowa Book Event. From 10:00 a.m. to 6:00 p.m., we will be talking with readers and signing books. And if you haven’t picked up your copy of 3:16 yet, there will be plenty on hand. Look foward to seeing you there! The Great Iowa Book Event! It has been a busy few weeks here at Cold Moon Press. As a new independent publisher, there is always so much to do (in a good way). One thing I can say without hesitancy: I am truly never bored! One thing I love is being challenged. The last few weeks have offered many wonderful opportunities to learn new things, expand my skill set, and promote the press and its wonderful authors. For example, at the end of this month, Vonnie Winslow Crist and I will be presenting at Balticon, an amazing conference in the Baltimore area. As a bonus, attendees will be receiving a gorgeous keepsake program, and we’ve secured an ad for our press and current authors. Since many of you aren’t in the area, I thought I might share what our half-page ad will look like. And if you are lucky enough to attend, you’ll find a wonderful surprise when you see the ad for Vonnie’s book, The Greener Forest. It will definately be an engaging treat for readers! So during the last few weeks, I’ve been working on creating advertising, designing promotional materials, and preparing to present. Next month, Cold Moon Press opens for its first multi-author anthology, Walking Down the Sky. This anthology opens for submissions at the beginning of June and will contain our favorite 13 stories that feature the moon. We hope that if you write urban fantasy, fantasy, scifi, or horror you will consider submitting to us…click on the link above to read the guidelines. The project will be released late fall to coincide with Cold Moon Press’s first anniversary. I’ve been planning and working with some great authors to get their feedback on the project. We have also been spending time preparing formal marketing plans for distribution. Seasoned writers know that there is a lot of work to be done after the last word is written on the page. Furthermore, authors like our very own Jeffrey Martin know the value in forming a partnership with their publisher to make sure their book is successful. Many, many thanks to him for all his hard work and patience. I’ve been learning so much about the business side of books and their promotion! (And make sure you pick up a copy of Jeff’s book here!). If you’d like to learn more about Cold Moon Press, please visit our site. Sign our guest book, read our blog, and keep current on all the happenings at our press! 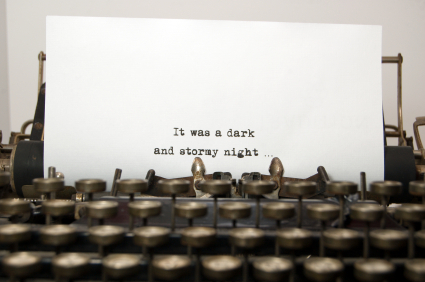 Now, my author friend, excitement fills you to the brim, and your fingers tremble , as you barely keep your sanity. I know you want to sign the contract right this minute…but take a deep breath, and S- L- O- W- down. Before you do anything, read the damn thing! 1. What format/formats is your work going to be published in? Mass market paperback, trade paperback, hardcover, audiobook, e-book, or some form of publication not developed yet? (Yep, many contracts have this phrase in it.) Find some other titles the publisher has released, and see if they are in the same format as yours. 2. Distribution of your work. Will the novel be listed with all the large book store/libraries/chain merchandise retail stores? You need to scrutinize this portion of your contract very carefully and ask questions of Mr. Redpencil if you don’t understand. The more distribution you have, the more likely your book will be seen! If Sacred Skin is only listed on publisher X’s website, this may not be the most effective way for your work to be seen. 3. Royalty payments. The contract will list a schedule of royalty payments. Sometimes it’s quarterly/semi-annually. Understand the payment schedule and don’t be afraid to inquire if you feel something doesn’t sound Kosher. It’s important the contract addresses the term royalty statements. The statements determine your sales figures for a designated time frame. Example, if your sales for six months is 5,000 copies, the statement should reflect this amount. 4. Synergy with publisher. Hmm, I hope…no let me rephrase that…I pray you have done research in the initial querying process to determine if publisher X is the right one for you. This can be as simple, as recognizing the kind of novels they publish. If Sacred Skin is a suspense/thriller, and publisher X has only released children’s stories, this may not be a match made in Heaven. Publishing a novel takes team work, and you want the publisher who chooses your work to love it and embrace it as you do. Does that mean you and publisher X should dance under the moonlight together making kissy-face…no, of course not (not unless you want to). BUT IT DOES mean to have an open and honest communication of what the partnership needs to be successful and how you work as a team to achieve that success. Finding the right publisher takes a determined effort and committment. There may be times when a publisher has offered a contract, and you review it to find they have great distribution, outstanding royalty payments, and will release your work in all formats…but the synergy is off, and working with them is painstaking, to say the least. What do you do? Hmm, Now that’s a question YOU have to answer. Until next time… Death is only a click away!